Celebrate the art of reading and writing with a first person narrative about your event. 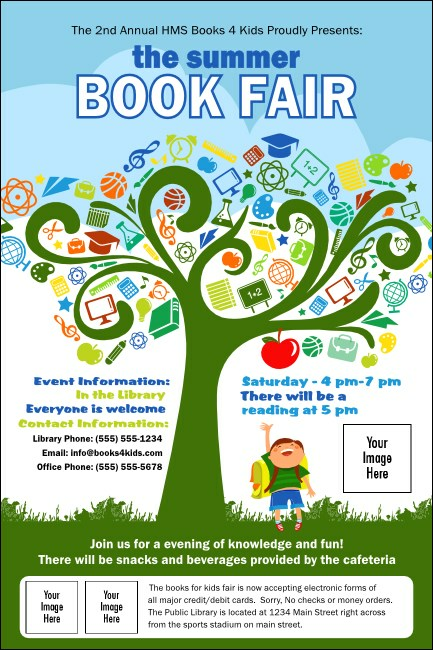 Promote your book fair or festival in advance with School Tree Poster templates that give you space to upload three unique images next to the whimsical picture of a child reaching for a red apple from a tree blossoming with colorful school supplies. TicketRiver.com.au will help supply your event with the best promotions.